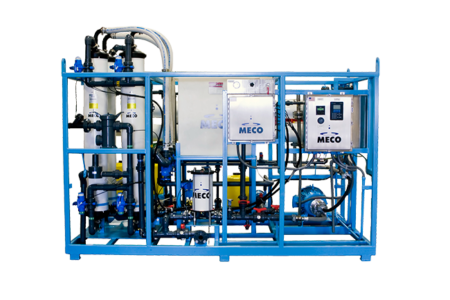 MECO designed and installed two train potable water pressure set systems that provide instantaneous and steady water pressure for the newly completed Al Nasr oil field Super Complex facilities. 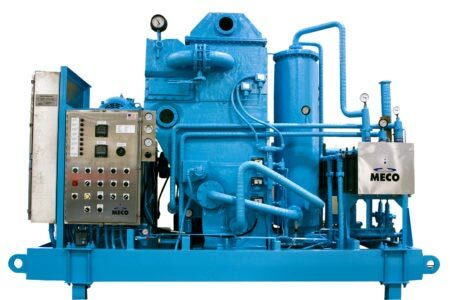 Located offshore Abu Dhabi in the Arabian Gulf, the Al Nasr mega-structure is the largest super complex in the world. 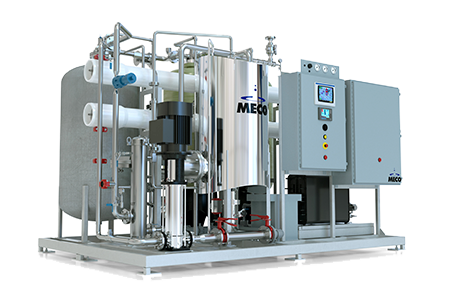 MECO’s potable water pressure set systems provide potable water used for drinking, cooking and toiletry items as well as eyewash/safety shower requirements. 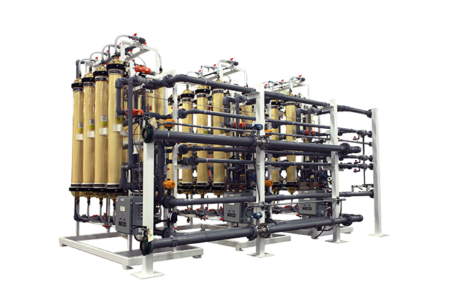 The water from the potable tank is distributed to various users by the potable water pumps. 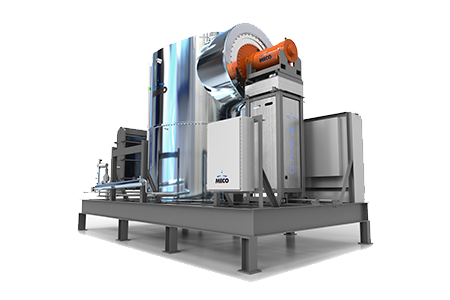 Before distribution water is passed through the potable water package (2 complete packages each sized at 100%, one operating and one standby spare.) 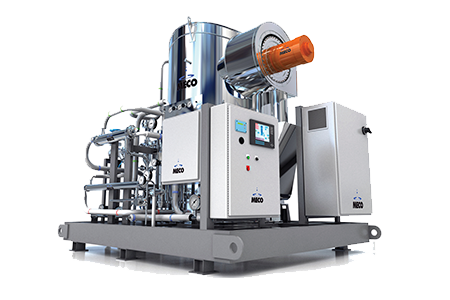 The purpose of each potable water package is to minimise pressure surges due to supply pumps, maintain a pressurised capacity for the specified duration and provide UV sanitation of the supply system. 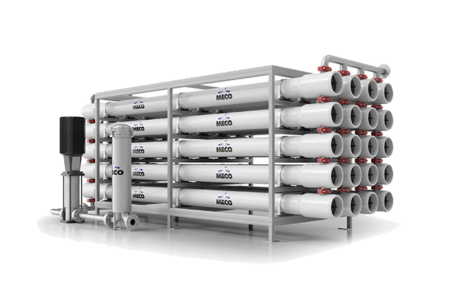 The packaged water systems are suitable for IEC Zone2 IIB, T3 Hazardous area environment. 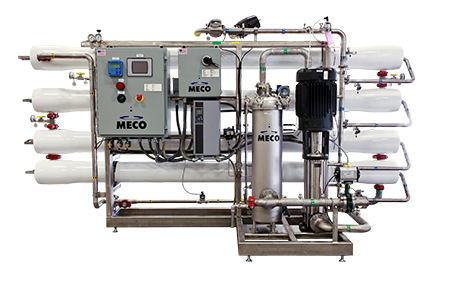 MECO is a world leader in the design and manufacture of water purification systems serving multiple industries for over 90 years. 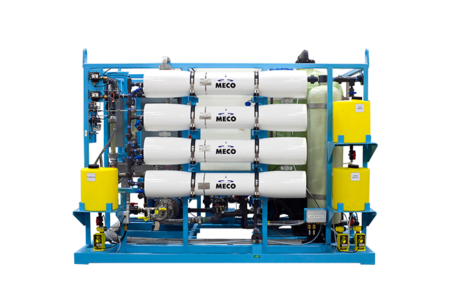 For the marine oil and gas industry, MECO is a world leader in producing a broad product line of water puriﬁcation plants including Vapor Compression, Reverse Osmosis and Waste Heat Recovery. 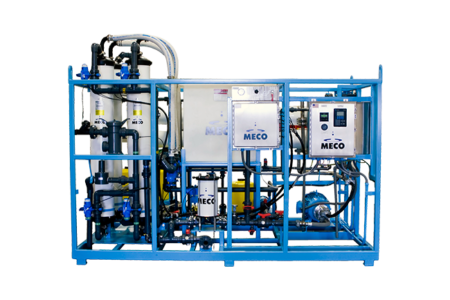 For more information visit MECO Oil and Gas page.